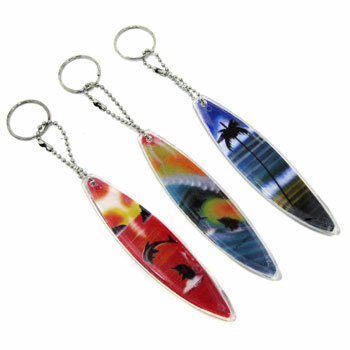 Assorted design and color surfboard keychains.. Board measures 4 inches in length by 1 inch wide. Sold by the dozen. $4.50 per dozen for 30 dozen or more.